Rather than start a new thread for every idea, I will try to keep adding them here. I did not see any of the ideas I have right now, of the ones I can remember, listed anywhere or previously suggested, except for one that goes along with an idea that I have. Some of these are obviously taken from the pokemon game. could this be moved to the top of the chat box? New text is added to the top of the chat box and would be more conveniently located near the top, closer to where the game is actually played. As it is now, we have to scroll down to enter new chat and then back up again, to play the game again. It would also be more convenient if the monsters I currently have on my team were displayed at the beginning of the storage list, instead of having to sort through all of my monsters to remove them from my team. 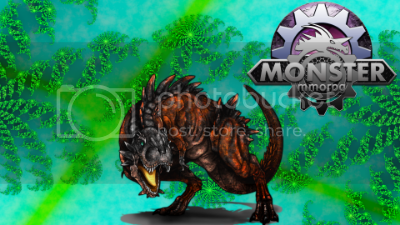 I have noticed that even when my monster is unable to move, that a move point is taken away. Why is this? If my monster was unable to move, the move point should not removed, since it could not act that turn. This is more of a fun little idea, maybe too much work to implement. I think it would be neat to be able to see how many times we have battled/ran from each monster in the monster dex. Proudly displaying our shame, at the number of times we ran from a certain monster! There is nothing to indicate whether you caught a monster at level 1 or, say 67, and leveled up a monster to 110. This would show how much time was put into a monster. But, with the frequency of traded/sold monsters, this would not necessarily be accurate, without showing the Original Trainer who caught the monster. (Which has been suggested previously.) Yes, this is basically a straight rip-off from pokemon, but I always liked it, since I love to catch them at low levels and raise them. #1 YES definetly absolutely and .. i think you see my point ^^. or at least it was. i think it's ok though to keep the status moves worth it and don't make the game to easy ect. #5absolutely. first of theres no reason to catch a monster on a low level if no one ever is able to see the effort you put up to level it. Second of all the original trainer is nice to see who actually caught every monster.Plus the player who actually caught a decent monster should get the props for that aswell no matter where it'll end. Also i'd like to see a list on how many monsters we caught with each box.How many boxes of each we used. how many zenith/legendary/ancient mons we caught with each box. a percentage that shows how much % of the thrown boxes succeeded in capturing.And how many times we ran from each monster. Oh yeah and more keyboard hotkeys like the " 'R' to run "
that's what i was saying shadow, updated it though to prevent later confusions. Minordaddy has another great idea, I believe. For beating the final arena in the game, earning an item (or possibly a "charge" for a more permanent item) that will prevent you from running from an ancient, one time! It will be a one-time use item. Perhaps you can turn it on like attractive player, or have an off/on feature. It will give players extra incentive for earning all of the arena badges.